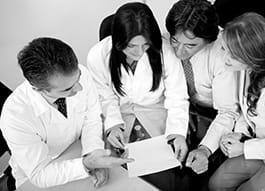 Health service managers plan, direct, or coordinate medicine and health services in hospitals, clinics, managed care organisations, public health agencies, or similar organisations. Establish conditions for meeting medical, business and workplace objectives and criteria for the unit. Manage clinical, professional, clerical and administrative staff. Manage recruitment, selection, appraisal and development of the staff. Monitor the use of health services to ensure effeciency. Develop and implement new policies to improve health service delivery. Set budgets and maintain finances. Develop and maintain record management systems. Liaise with medical and nursing staff. Represent the health service, e.g. by attending meetings and seminars. Liaise with external contacts, e.g. local politicians, business companies and medical associations.